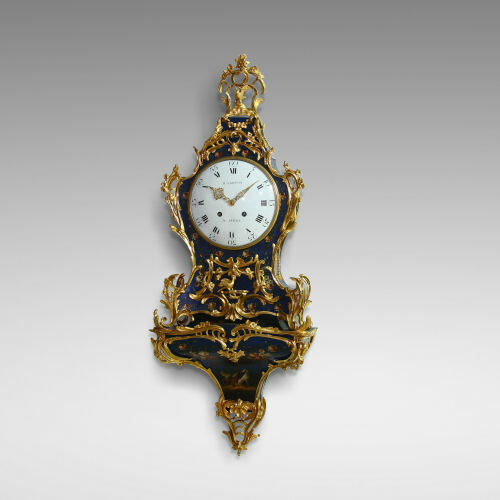 Small « musical instruments » ormolu wall cartel signed Gudin à Paris, Louis XVI period, circa 1780. 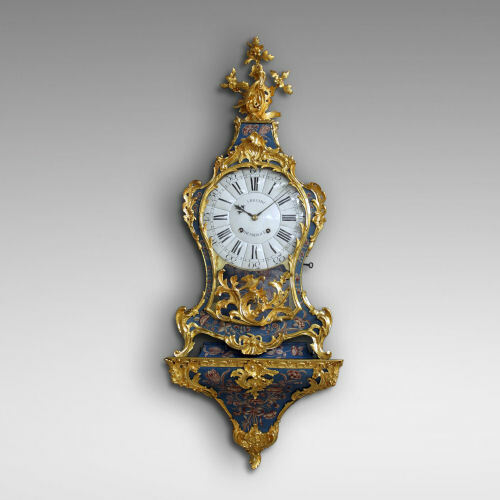 Very small Cartel d'Alcôve with secret, signed Lenoir à Lyon, circa 1700-1730, quarter-strike on demand, three bells. 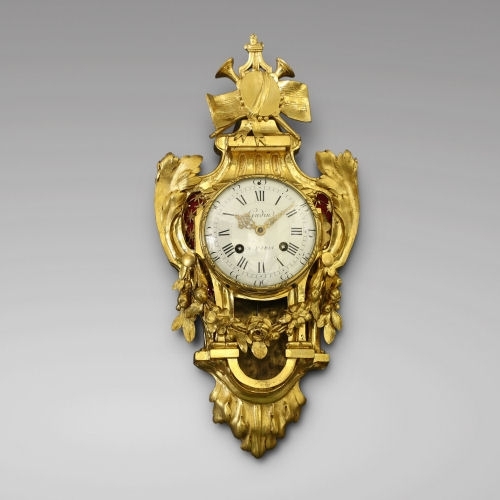 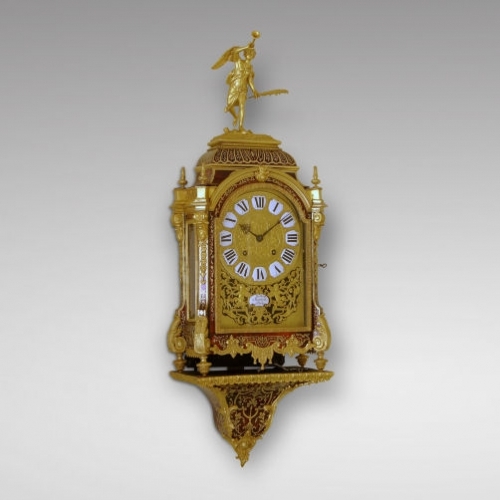 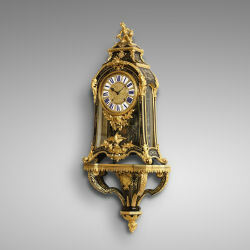 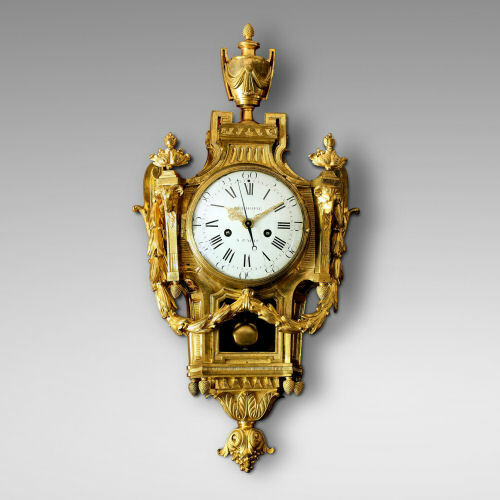 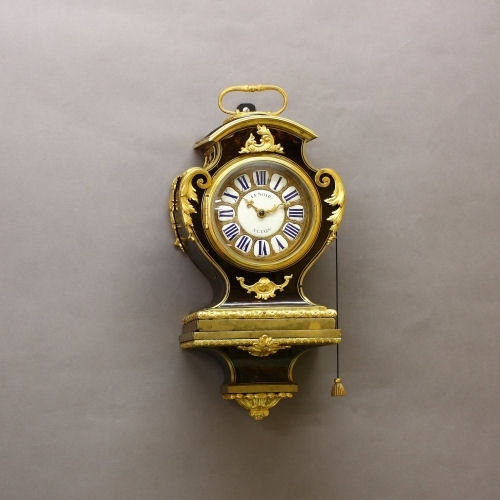 French Louis XVI gilt bronze cartel clock signed LÉCHOPIÉ à Paris, circa 1780 with center-sweeping seconds hand. 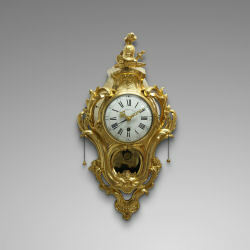 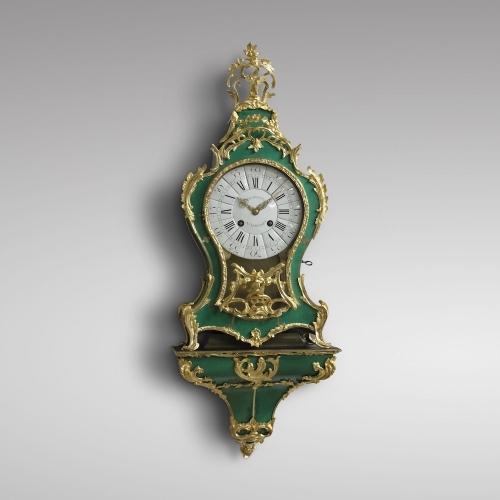 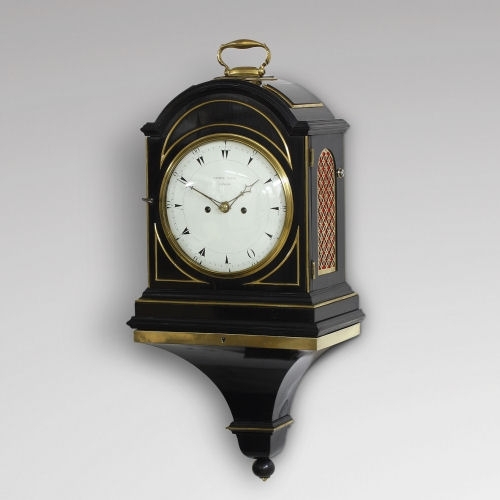 Vernis Martin bronze mounted cartel clock, second half of the 18th Century, signed H. SARTON à Liège. 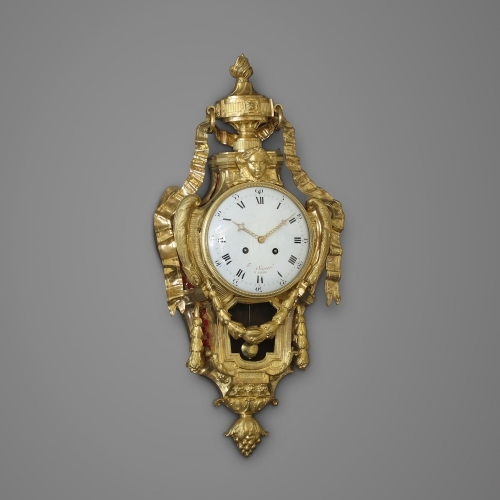 Small French Louis XIV Boulle striking Cartel signed Balthazar Martinot à Paris on the dial and movement, early 18th C.